Once you have a playground—written by you or others on macOS using Xcode—you can use it with the Playgrounds app on your iPad. This is a very different process from using Xcode. 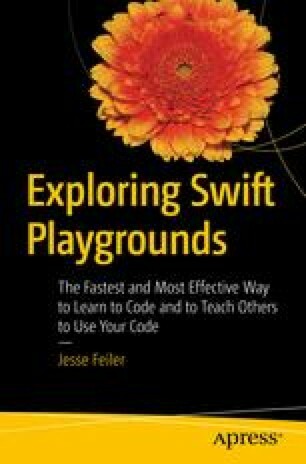 For one thing, now you’re working on your iPad rather than a Mac, and you’re writing the code that is going to run in the Playgrounds app.